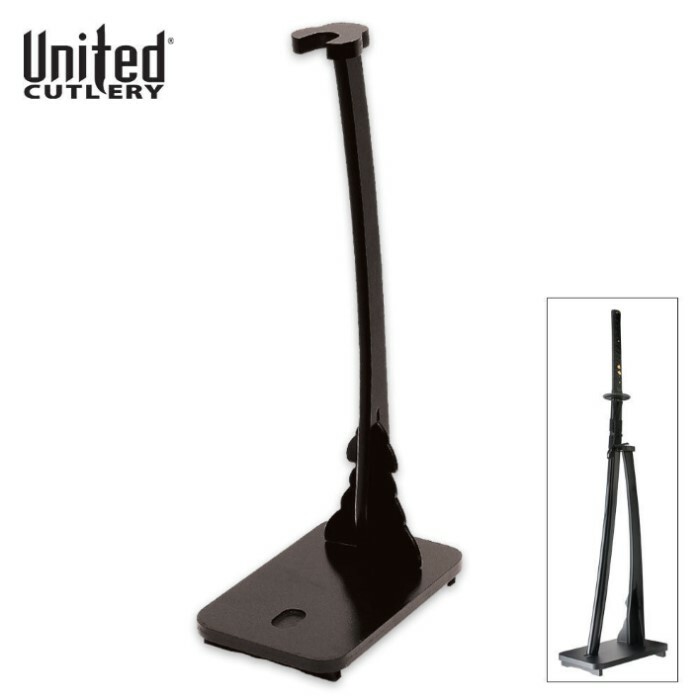 One-Piece Upright Sword Display Stand | BUDK.com - Knives & Swords At The Lowest Prices! Don't let your favorite sword collect dust, display it! Our stand permits you to show off any piece from your collection in an upright position for better viewing. Standing 23" in height, this item is constructed of solid black wood with a black lacquer finish. Take that gorgeous sword out of the closet today and show it off with our beautiful stand!